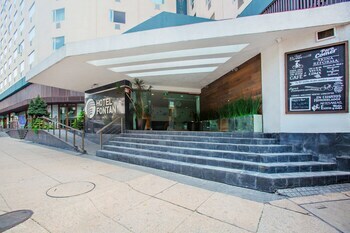 A stay at Hotel Fontan Reforma Mexico places you in the heart of Mexico City, within a 15-minute walk of Palacio de Bellas Artes and Torre Latinoamericana. Featured amenities include a business center, complimentary newspapers in the lobby, and dry cleaning/laundry services. Planning an event in Mexico City? This hotel has facilities measuring 13667 square feet (1270 square meters), including conference space. Free self parking is available onsite. Located in Huatulco, Hotel & Condominios Jaroje is within a 15-minute walk of Chahue Beach and Marina Chahue. With a stay at Hotel Maya Rue, you'll be centrally located in Palenque, within a 15-minute drive of Aluxes Eco Park and Misol-Ha Waterfalls.